Barcode Inventory software maintains and manages the stock of products with barcode printing and scanning. As the business performance and processes go automatic these days, barcodes help in successful stock and inventory management. This software also improves the efficiency of stocks with precision. Barcode inventory covers some valuable modules like purchase, accounts, sales and accuracy. When it comes to maintain a variety of items, barcode software provides errorless and accurate results. MicroDot Softwares is a global software solution provider which involves “Business Analysis and IT consultancy”. The company works with large global corporations and next generation technology companies - to produce new products or services and to implement practical business and technology strategies to cater today's dynamic digital environment effectively. Keeps and manages all the company related information that includes name, address, email, website, mobile no. etc. Maintains all customer related information. The user can easily store data that includes customer name, customer purchase, email id, mobile no., discounts applied to the customer and much more. Efficiently stores all the details about the supplier. It also helps record and manage all the data received from suppliers on daily basis with product details. Helps store all the information related to products. It also assists the user to attain all the necessary details to choose from the group of products anytime. Records all the sales related data that include purchase no., purchase date, supplier details, order no. and order details. Sales Entry: Helps record, track and manage all the sales and accounting receivables. This module further helps generate sales orders and invoices. Allows you to prepare financial reports by recording and managing all the payment details. It also enables the user to generate purchase orders by tracking the payment entries. Auto generates the receipt and helps you send it directly to the customer through the software. 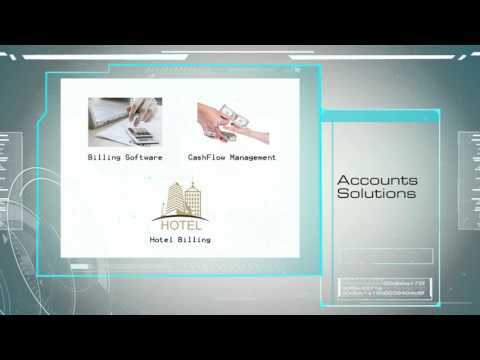 Deals in recording all the accounting operations including purchases, credits, TDS, service tax. This auto calculates all the calculations in journal expenses. Easily scans high quality barcode labelling to complete the transactions successfully and flawlessly.